Off late, people are inclined towards preferring taxi booking mobile apps for local and outstation commuting. Owning a taxi app business now demands a mobile booking app as something that’s mandatory for a smoother business. This is where White Label Taxi app comes to play by offering the necessary visibility to your business. Small and big taxi business owners are always in the hunt for app development companies that can hasten their applications launch process from development to market. 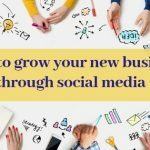 That is why they look for a quick solution to reach a wider audience in a shorter time which is well offered by white label apps that helps them launch their business in a short time. 2.2 Get the Branding thing sorted, effortlessly! White label solution refers to a business model of purchasing ready to implement taxi management software from the developers who are experts in creating white label taxi app. Later, the entire package is rebranded including UI, logos and branding elements. This gives you exclusivity and yet reduces the turnaround time. Successful on-demand taxi app businesses like Uber, Ola, Lyft, etc. are working strategically to transform the entire taxi ride experience for riders and drivers. 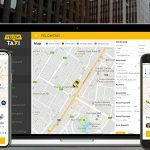 The basic necessity is to integrate the map or location finder to the application which is the primary solution that a White Label Taxi App solution offers. The aim is to simplify the location search for passenger and thereby helping them to track their ride. The driver and passenger also access the rating system to help the community make the right ride choices. White label taxi app comes with all these functionalities, in-built. Key reasons why taxi business owners prefer white label taxi app solution is that it provides quicker transmit service than ever before. This aids passengers to the book, track and manage taxi looking in the easiest possible manner. The online payment feature is another added benefit that comes integrated into the White Label taxi app solution. Avoid the time and money involved in custom taxi booking app development. Get the White Label Taxi app solution that integrates an organized taxi booking system for the business. The ready-to-launch package means lesser time to hit the market with lesser money involved in it. With the readily made bundle of White Label taxi App – you will have the entire business app ready from infrastructure to functionality. The only remaining thing is that you will need to infuse some of the branding elements in it to make it exclusive for your business. The online, 24*7 supports from the white label developer also help you solve any technical difficulties if it arises anytime during or after its implementation. Get the Branding thing sorted, effortlessly! Get your brand visibility sorted right from the launch of your taxi application. The success of the business is defined by the number of customers it can attract during its initial launch. The customization option as offered by the White Label Taxi app means you can assimilate your business logos, colours, etc. within the application itself. This helps prospective users to identify your brand and thereby creates an ideal on boarding experience for the user. White Label Taxi App customization facilitates reaching riders and drivers directly with visibility that creates its own identity. Plenty of companies in the taxi business are shedding money as a part of commission paid to the third parties. This commission is solely paid to render their service for connecting themselves to the industry’s big player. It is because most companies lack basic infrastructure and suitable tools for reaching out their target customers. 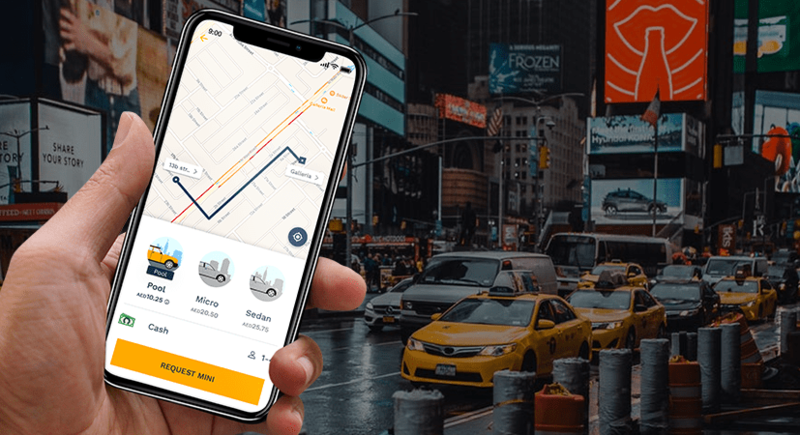 Get rid of losing customers to some third-party by introducing white label taxi app solution that works effortlessly to shrink your superfluous spending, and thus start making a profit out of your taxi business. Businesses run efficiently with white label solution since you can reinforce branding and run a business successfully in an already competitive market. This may lead your business to run a little risk when it comes to reliability and scalability of the software you’re getting. If you’re really looking for a fully customized taxi booking app, you might as well consider building it from scratch for creating a unique experience for users. The high competition in the taxi on-demand services has businesses looking out for an alternative solution for making taxi app instantly. White label taxi app is an ideal solution for business in a rush for going mobile with exclusive branding elements involved. Companies can do away without investing time and technical infrastructure. On the other hand, a few businesses still prefer to have their apps built specifically keeping in mind the user experience and transaction security. Another con that White Label solution has that Google Play and Apple’s App Store has a stringent policy towards such apps. There are chances that white label apps may get rejected on such an app store.